More than 150 alumni and friends of Yeshiva University gathered for the most recent meeting of the YU Wall Street Group on June 23 to network, catch up and listen to a panel of experts discussing the latest trends in the real estate market. Michael Stoler (standing) moderated a panel featuring Bradford Klatt, Brahm Cramer, Jeffrey Barclay, Ralph Herzka and Richard Born. Moderated by Michael Stoler, president of New York Real Estate TV and managing director of Madison Realty Capital, the panel, titled “Changing World—What’s Next for Real Estate,” included Jeffrey Barclay of Goldman Sachs; Richard Born of BD Hotels, LLC; Brahm Cramer of AllianceBernstein, Ralph Herzka of Meridian Capital Group, LLC; and Bradford Klatt of Roseland Property Company. The event, hosted at AllianceBernstein’s New York City offices, served as the third meeting of the YU Wall Street Group in the past four months, providing many alumni the opportunity to network with a sizable cohort of individuals from the full spectrum of the business world. These encounters have resulted in group members securing new job opportunities ranging from beneficial internships to senior-level positions in respected firms. Started more than 15 year ago, the group now counts over 1,500 members in its ranks, nearly 70 percent of whom are alumni, according to Lawrence Askowitz ’87YC, the group’s co-chair. “I know that there is momentum gathering from these events,” said Askowitz, whose company has taken on two YU interns in the past year. In addition to hosting these gatherings, the Wall Street Group had also started sending out frequent e-mail blasts since March, alerting its members to new job openings in a significant selection of business-related fields. To learn more about the Yeshiva University Wall Street Group or to get involved contact Alan Secter at yuwsg@yu.edu. In addition to the offerings of the Wall Street Group, alumni and friends of YU are invited to participate in a Continuing Professional Education series on “Optimizing Your Clients’ Retirement Benefits—Social Security, Medicare and Pension Maximization” on July 13 that is presented by the newly formed YU Accounting & Financial Planning Network, a growing community of accountants and advisors in complimentary fields. To learn more about the group and the CPE series e-mail AFPNetwork@yu.edu. For more information on upcoming alumni events visit www.yu.edu/alumnievents. 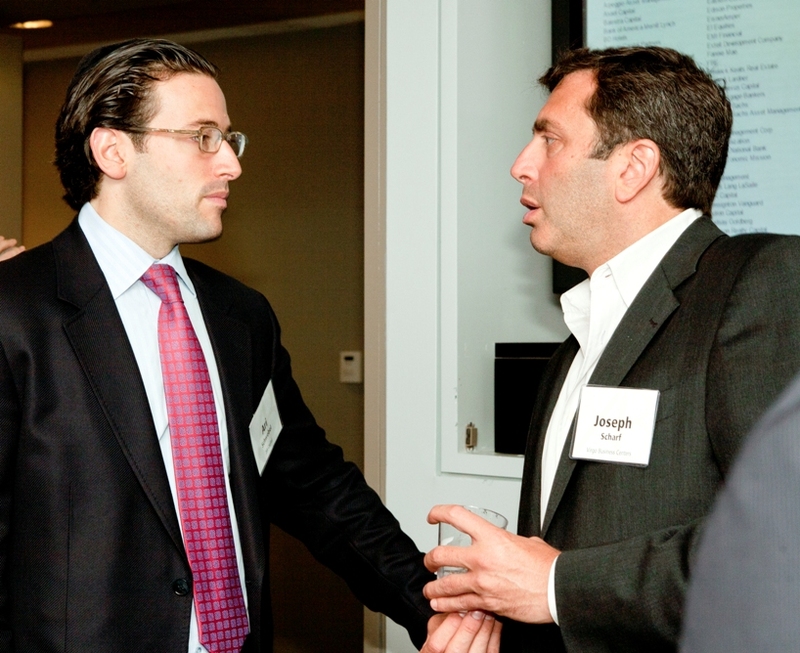 Check out photos from a Wall Street Group event held in March at Bloomberg here.